The Mats Sundin Fellowships, which were established in November 2012 with a donation of SEK 2.2 million (around $350,000) from former hockey player and Toronto Maple Leafs captain Mats Sundin, aim to develop future health leaders in Canada and Sweden. Recipients will have the opportunity to spend a period of research at their partner institution under the direction of leading scientists in the field of developmental health, which focuses on understanding how diseases of childhood and adulthood can be traced to conditions within the first 1000 days of life. The University of Toronto and the Karolinska Institute in Sweden are two of the world’s most highly acclaimed teaching and research institutions in the field of biomedical research. The Mats Sundin Fellowship identifies two postdoctoral fellows in Stockholm and Toronto, respectively, to participate in this scientific exchange. Each Sundin Fellow is paired with scientists, scholars and clinicians from both institutions to pursue innovaiton and ground-breaking research projects in the area of human development and heath. 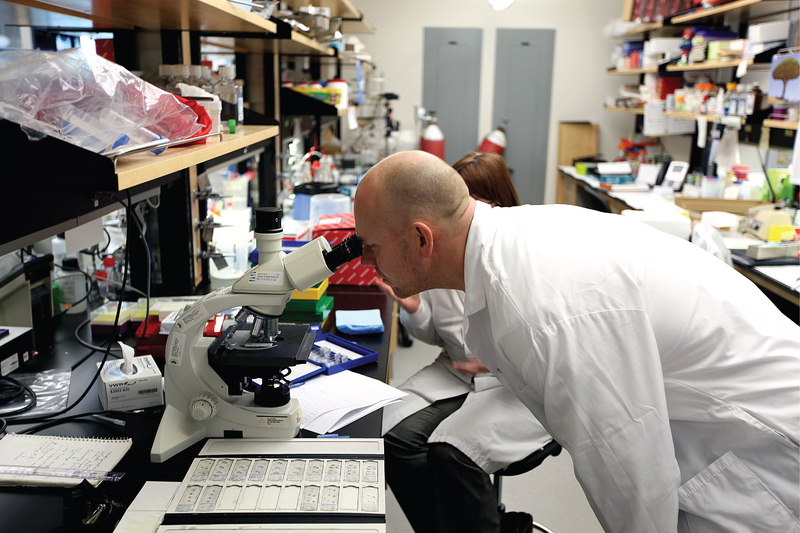 Each Sundin Fellow receives a 2 year biomedical research exchange placement at the U of T or KI. The Fellowship recipients were announced in the presence of Mats Sundin, Ambassador Kenneth Macartney, Professor Stephen Matthews from the University of Toronto and Professor Ola Hermanson from Karolinska Institutet. Ambassador Macartney said “the Embassy is honoured to support the Fellowship program, which will provide unique opportunities for collaboration in an important research field. We are pleased to partner with Mats Sundin in promoting cooperation between these two world-renowned academic institutions in Canada and Sweden”. Jessica Weidner from Karolinska Institutet conducted research at the University of Toronto on the effects of Toxoplasma gondii (also known as the cat litter parasite) on fetal development, particularly its effects within the brain.